Expanding astrology means reuniting astrology and astronomy. Expanding astrology also means reuniting it with other disciplines like history, psychology (somewhat achieved), studies of climate, metallurgy, physiology, and on and on. Astrology is a discipline that requires mastery in both the inner and the outer realms. To apply it scientifically requires an understanding of sciences like astronomy and physics and all the other hard sciences. In order to interpret a chart certain psychological and spiritual disciplines must be learned. In astro-history, as has been said before, you need a developed historical sense. An astrologer needs to possess the historical sense before he or she may even look at a historical chart. In antiquity, during the eras of Ptolemy and Posidonius, history, science, astronomy, psychology and political philosophy were all unified. Ptolemy’s great work, The Tetrabiblios, is an example of the union of these various disciplines. Sadly, astrology today has been left behind by science. Much of the mathematics used to cast a chart comes from the era of Ptolemy. For instance, as mentioned before, astrology still looks at what it calls the “fixed stars”. In fact, the only body “fixed” in the sky is C, the speed of light through a vacuum. All other moving bodies in the universe are in relative motion to C.
As astrologers, we know that the major bodies in the solar system—their orbits, their gravitational and electromagnetic influence—correspond to the internal psychology and workings of the individual. They also correspond to the movements of the mass of humankind that we call history. To get at these connections, let us not throw out all modern discoveries of science and math. What Ptolemy saw, and what we know is out there today are two different universes. They are different levels of reality. Unfortunately, astrology keeps looking out at the solar system, and beyond, through the lens of antiquity. Its eyes are the eyes of Ptolemy. Let us examine our expanding astrology through the lens of modem science and astrophysics, and evolve into the new possibilities. Magnetic fields. In 1958, the United States, attempting to catch up with the scientific space achievements of the Soviet Union, sent up a very small space probe that carried more scientific data collection technology than anything the Soviets were capable of building at the time. Through this probe we discovered a large magnetic field surrounding the Earth. 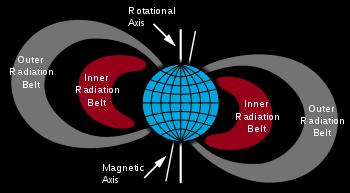 It was named the Van Allen radiation belt. Today we know that this belt is part of a larger field called the magnetosphere. This magnetic field affects every living thing on the Earth. When its general makeup is altered, then conditions on the Earth change. The field shifts in size and in electrical charge, often through the influence of the Sun. When the Sun sends out a solar flare, it can temporarily collapse the magnetic field around the Earth. It takes a solar flare about three days to reach the Earth. When a solar flare occurs, the electric power industry uses that three days to send out alerts to its generating plants. Transformers and dynamos can be burned out by changes in the magnetic field around the Earth. Radio waves, because they need to bounce off the ionosphere, are also disrupted during solar flare storms. Sun impacting Earth’s magnetic field. No one has ever correlated the influence of solar flares and the collapsing of the magnetosphere to changes on the cellular level. An individual human cell, perhaps in the brain or the glands, could be affected. It is possible that DNA could be affected. Is it possible that scientists are fearful that they might be accused of being astrologers? That is exactly what they are afraid of. Occasionally, the magnetic field surrounding a whole planet will reverse its polarity. This has occurred on the Earth a number of times; it has been measured by science. If one looked at it from the historical perspective, every reverse of the magnetic field of our planet might be extremely important: It could signal one of the most significant events in human history. Or how about Jupiter and Saturn? Does their influence change when their magnetic fields reverse polarity? This information should be a vital source for astrological study. If you were able to look up into the sky at night and see Jupiter plus its magnetic field, its magnetosphere, the two together would appear as large as a Full Moon. Saturn with its surrounding magnetic field would be half the size of the Full Moon. Certain phenomena in the solar system cause the magnetic field of Jupiter to undergo many changes. Not only do solar flares affect Jupiter’s magnetic field, but the position of Jupiter in the total configuration of the solar system, and the line-up of this planet with its Galilean moons is important. Jupiter is the largest planet in our solar system; it radiates more electromagnetic energy–thermal, light, radio, etc.–than it receives from the Sun. It exerts the greatest gravitational pull of any planet in the solar system. Four large moons, called the Galileans, orbit Jupiter. These can be seen from Earth with binoculars; three of these moons are larger in diameter than ours, and they each—in terms of mass—are several thousand times more massive than the entire combined asteroid belt. When these moons are lined up in certain configurations with Jupiter in relation to the planet Earth, they give Jupiter a different influence. When Io, Ganymede, Callisto and Europa are strung out at a right angle to the Earth, that produces one kind of energy. 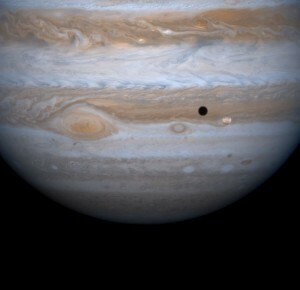 When these moons are all lined up behind Jupiter (as seen from the Earth), or when they are all in front, that creates another kind of influence. Fascinating data about Jupiter was collected by the Voyager I & II probes concerning the relationship between Jupiter and its moon, Io, which is larger than our Moon. Io is very close in orbit to its mother planet, it is volcanic. It spews ionized sulphur into Jupiter’s magnetic field, creating a large energy doughnut around the planet, called a plasma torus. The periods when radio waves and other electromagnetic transmissions are beamed from that torus to our Earth constitute some kind of influence. More work needs to be done here. Jupiter’s lunar configurations, the energies it transmits, and its position in relation to Earth, translate into very different kinds of influence. From my own investigation, its influence seems to be the strongest at what astronomy calls the opposition, when Jupiter and the Earth in their orbits around the Sun are lined up in a straight line with the Earth in the middle (see diagram). This is also the time when Jupiter is closest to the Earth. In astrology this is called the Jupiter/Sun opposition. This lined-up configuration seems to confer the greatest power upon historical personages. During periods of extreme danger, these Jupiter types seem to possess a certain amount of protection. In career, they often rise to distinction at an early age; their lives are filled with fortune and good luck. I discuss several Jupiter influenced leaders here and here and here. Historical personages born under the influence of the Saturn astronomic opposition, where Saturn and the Earth, in their orbits around the Sun, are lined up in a straight line are also highly significant in astro-history. If the person who takes his place upon the stage of history is able to master the Saturnian burden, he often exerts a powerful influence on the historical process. 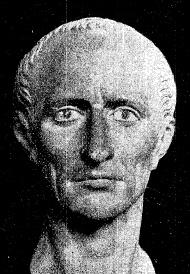 Julius Caesar, if we accept the 100 B.C. chart, was born on the Saturn opposition. Even today, in the marking of time, we are using a version of the Julian calendar. Culturally significant historical personages like composers, playwrights, and the founders of religions, are often born on either a Neptune or a Uranus opposition. Mozart was born on a Neptune opposition to his natal Sun. Immanuel Kant, the German philosopher, author of The Critique of Pure Reason was born on an astronomical Uranus opposition. 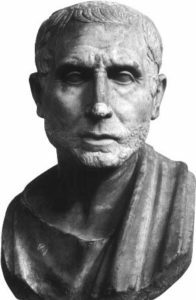 If Neptune is connected to Saturn by conjunction or by opposition, expect the exercise of political power (Saturn) to be colored by the influence of Neptune. You can find more on that here. JS Bach. Click for larger. Jupiter can exert a cultural influence: The German composer, Bach, was born on the Jupiter opposition to his natal Sun. This planet can often work as a spiritualizing influence: Bach dedicated every piece of music he wrote to God. The advances of modern science have provided us with entirely new ways of looking at the effect of astronomy/astrology upon the historical process. These new approaches to reality need investigation and research.